A masterclass in technology and design The Dexibell Vivo S9 Stage Piano sets a new standard in the industry. With revolutionary sampling and modelling technology. Dexibell challenges conventional wisdom, introducing the 'True 2 Life' technology. Using innovative modelling techniques to record extra-long samples. The recorded length of each individual note is now between 3 and 15 times higher than equivalent products, currently on the market. Enhancing both the accuracy and the strength of your performance. 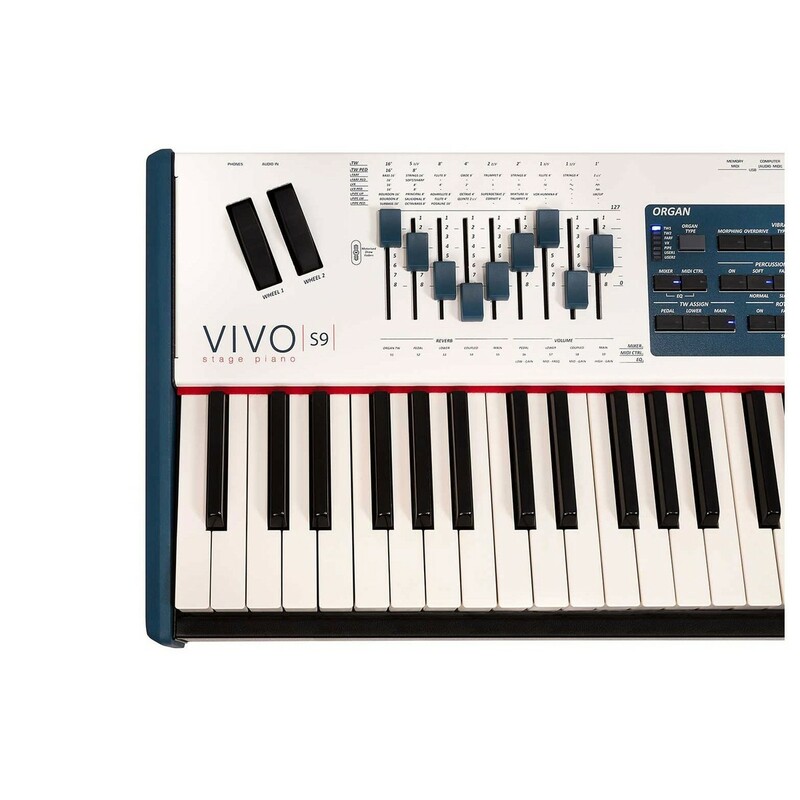 The Vivo S9 is designed to simulate every single nuance, so you can perform with the most dynamic expressions! 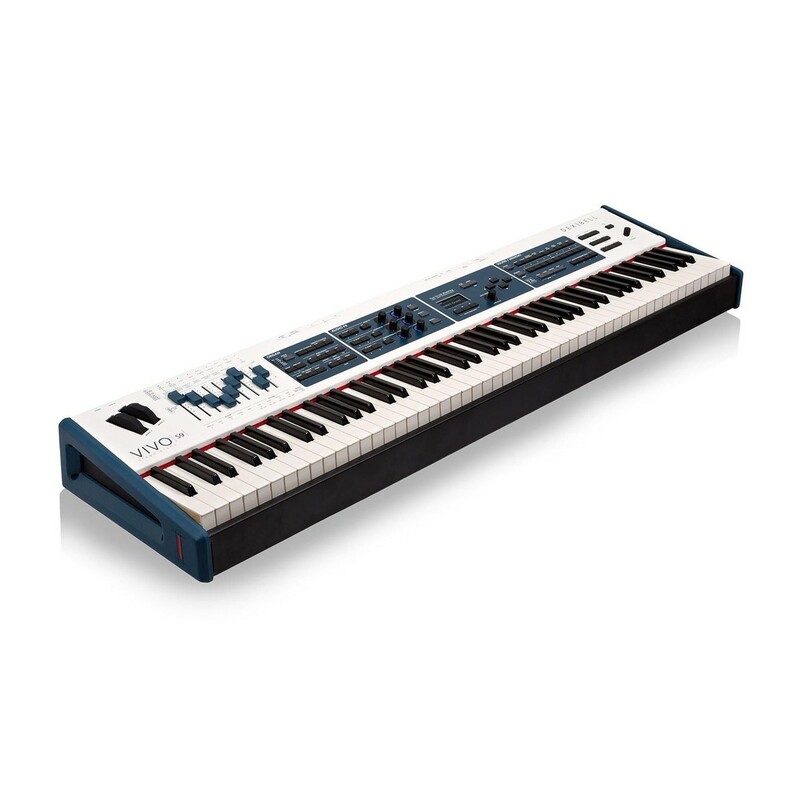 The Italian crafted Vivo S9 Stage Piano is meticulously designed to the highest quality. An upgrade from the S1. 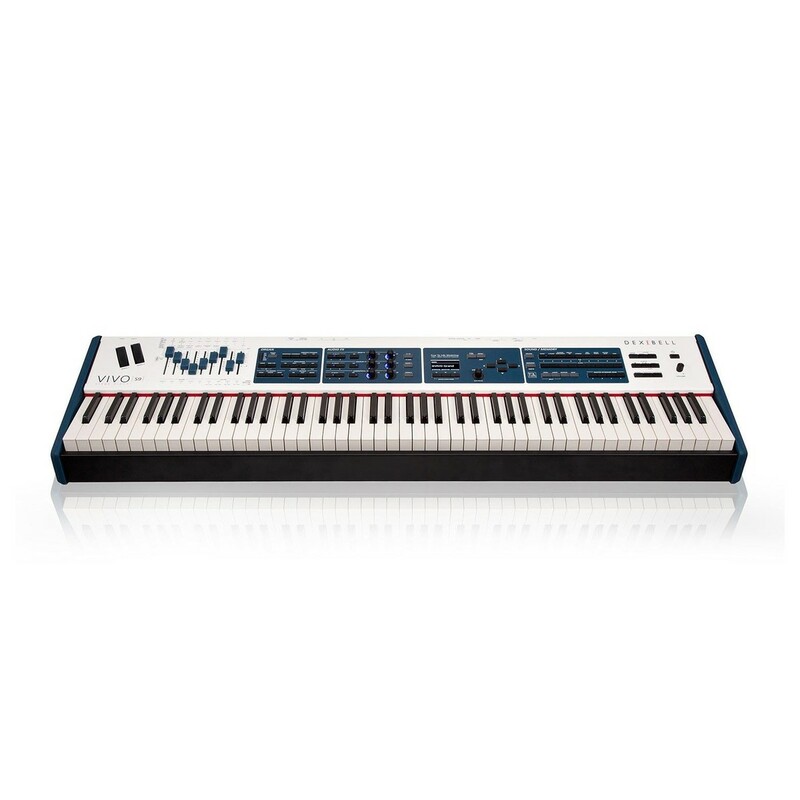 The all new S9 comes equipped with more keys, Dexibell's all new chord enhancer effects, and unlimited polyphony. Giving you an endless range of sounds and effects to explore and enhance your performance! 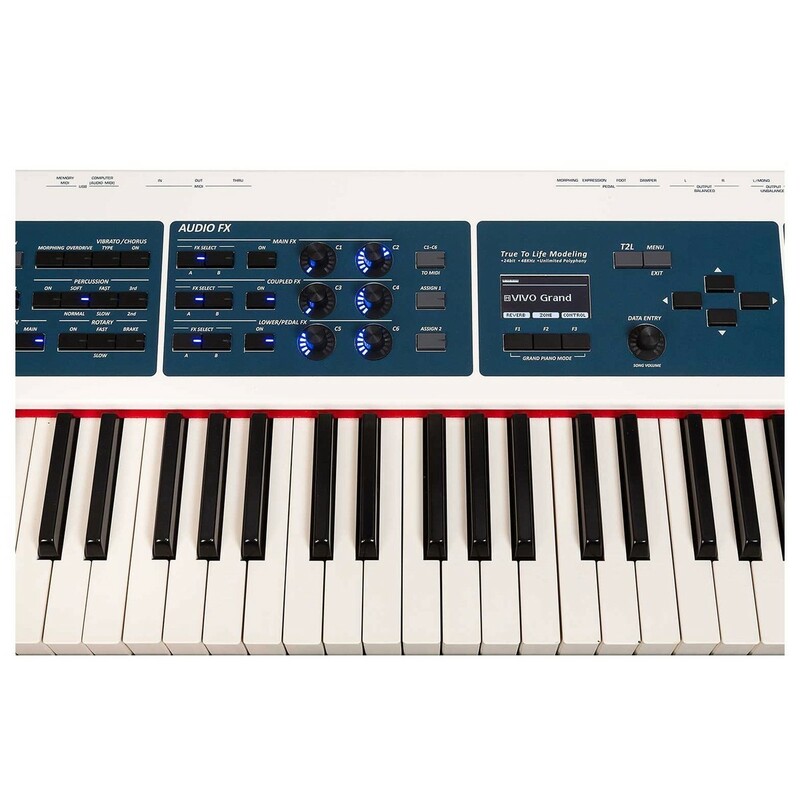 The Vivo S9 Stage Piano includes Dexibell's True 2 Life technology which is a dedicated algorithm designed to recreate the responsiveness and accuracy of the sound timbre relative to the player's articulation. These sounds include the recreation of mechanical noises, harmonic resonances and vintage noises. All the sounds can be modified by the user to for full customisation and to create new sounds. At the heart of the Dexibell S9 piano lies an incredibly powerful quad-core processor capable of managing 320 digital oscillators. This huge number of oscillators allows for the simulation of all elements, sounds and noises which culminate to model the True 2 Life sound. The increased polyphony used in Dexibell Pianos contributes to simulate the realistic responsiveness of an acoustic piano through virtually unlimited polyphony. All Dexibell pianos include extra large sample lengths to ensure astonishing harmonics. All the sample waveforms are between 3 to 15 times higher than equivalent pianos, with some original samples continuing for 15 seconds. All samples used in Dexibell pianos are recorded at high definition 24 Bit and 48KHz for the best possible sound. 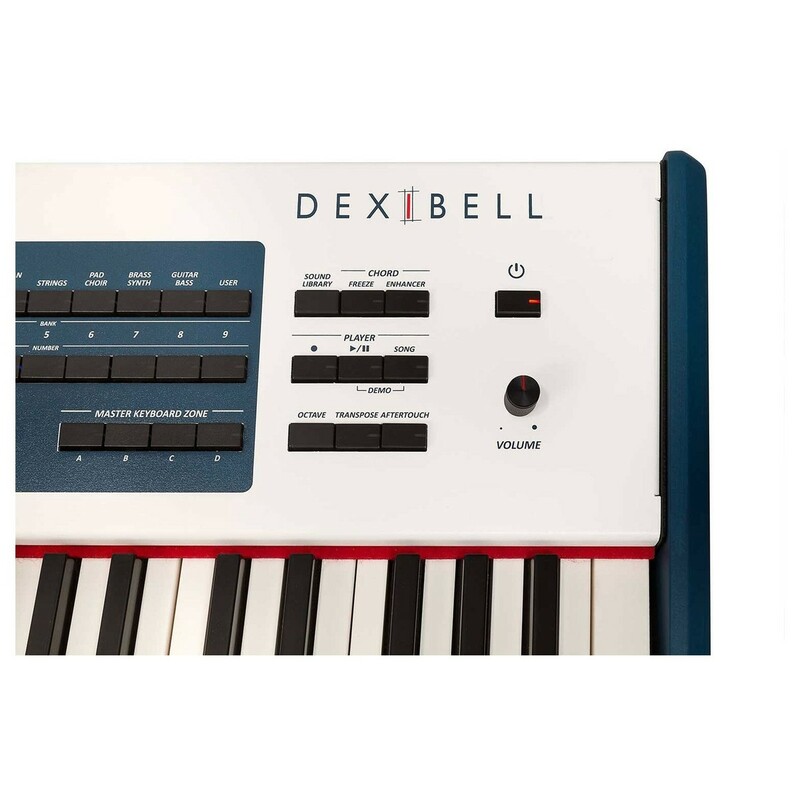 For the Last 25 years, Dexibell has been innovating and designing some of the best keyboards and synthesizers in the market. By working with the most highly regarded Italian designers and engineers, they have been able to combine design features from high-end traditional pianos with the most up-to-date technology. All Dexibell products are designed, engineered and manufactured in Italy to achieve and maintain the highest possible quality.